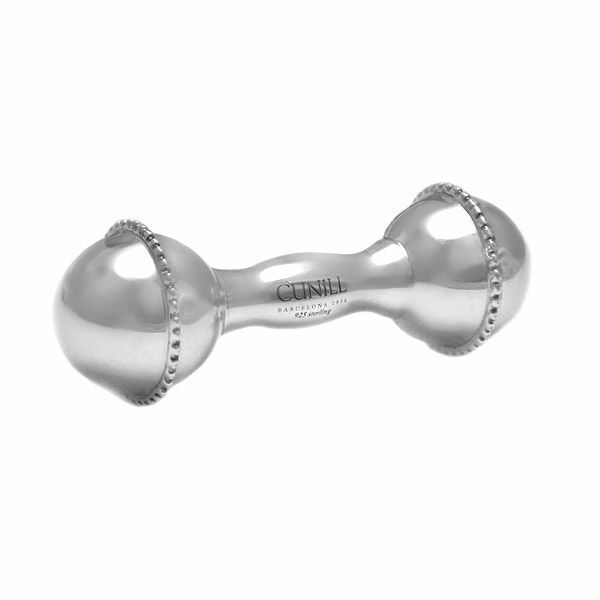 The Cunill Pearls sterling silver dumbbell rattle is simply adorable. 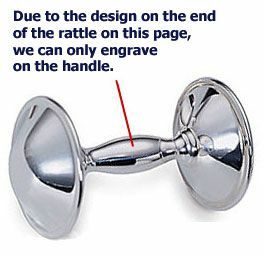 This rattle is crafted in the traditional dumbbell shape and has a row of beading, or pearls, around each of the bells. This simple touch gives the rattle a bit of personality and is perfect for a little boy or little girl. Part of the Pearls collection from Cunill, we also carry the matching sterling silver baby cup. This rattle is available in two sizes. The smaller measures 3-1/2 inches in length while the larger measures 5 inches in length. 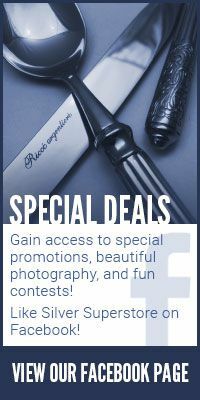 Are you looking to give a truly personal gift? Add custom engraving to this rattle. We offer FREE engraving on the 5" rattle. Simply add the rattle to your shopping cart to view your engraving options. For this item, engraving is only available on the handle as the ends are too rounded.Unfortunately, the 3.5" rattle does not have enough space for us to engrave upon. Personalize your child's rattle for only $7.75!